Excited to announce that the new EP “Edge of Love” will be released worldwide on 10th May. It has been wonderful to receive so much airplay for the single on BBC shows from Ralph McLean on BBC Ulster, Keith Greentree on BBC Radio Norfolk, Stephen Foster on BBC Suffolk and Mike Shepherd on BBC Merseyside. “Anything But Easy” has also received airplay on Baylen Leonard’s “The Front Porch” on Chris Country , Leader’s American Pie and various shows across the world. Huge thanks to Audiotree CD DVD & Vinyl for the lovely design and duplication of my new EP “Edge of Love” and to Claudia Taveira for the beautiful photography. I am really excited to share the official music video for my new single “Anything But Easy” released this Friday! From upcoming EP “Edge of Love” produced by Jose McGill. Filmed in beautiful Dunwich and Walberswick, Suffolk on a glorious February day! Huge thanks to David McKenna at Light to Love Productions for filming and directing and capturing such a magic light. ❤️ Thank you so much for watching – really appreciate any shares or comments on YouTube. “there is something so special and unique about Lisa’s vocals and song-writing abilities from the off. The chorus of Anything But Easy allows you to paint your own picture in your head based on your own past relationships. It bought me to tears quite a few times. The beautiful instrumental throughout make the song connect perfectly especially with the second verse allowing the lyrics to shine through. The final verse of Anything But Easy is very strong and the lyrics are relatable when it comes to being in a relationship and with the thought of letting go of a relationship being so difficult even though you know it’s the best thing to do. Anything But Easy is a very special and unique song that showcases Lisa’s incredible vocals wonderfully.” Huge thanks to Bring Country to the UK for this lovely review. I’m excited to share the cover artwork for “Edge of Love” huge thanks to Claudia Taveira Photography for the lovely photography and Nigel Harris at Audiotree for the design. As you may have read, PledgeMusic has been dealing with financial issues that have resulted in late payment to artists whose fans have pledged money via the direct-to-fan and crowdfunding platform. I am very disappointed to report I have had no direct response regarding my project. It now means that the release of my upcoming EP “Edge of Love” is being disrupted and delayed. An initial statement from the company was issued last month as an increasing number of artists went public about the late payment issues and the impact they are having on them. Up until now my first experience using PledgeMusic has been very positive. Thanks to my fans, I have had huge amounts of interest in the EP and was thrilled to have exceeded my target. As part of the campaign I offered special rewards such as signed guitars, CDs, handwritten lyrics and gig posters, as well as unique experiences such as voice and guitar lessons and VIP tickets to the EP launch. Unfortunately I haven’t yet received any payment or concrete information from Pledge and I am not alone. Many artists and managers with current Pledge campaigns are eager for news as soon as possible, so that they can decide whether or not to call off those campaigns and find an alternative way to take pre-orders and allow fan-funding. As an independent artist I am relying on these payments so I can fulfil all fan purchases – this has been out of my hands. There has been uproar from musicians who have been united in finding it unacceptable that PledgeMusic has failed to pass on the funds raised by fans to the artist. Lots of major artists have also been affected, including Jesus Jones and Fastball. The Cardigans, The Dandy Warhols, Sophie Ellis Bextor and Ladytron have also been running campaigns. The company is now looking for a strategic partner or buyer which could safeguard the future of the Pledge business, while also assuring that all artists currently owed money would get paid in full. I truly hope Pledge will meet its obligations. I will keep you updated as much as I can. Thank you so much for all your support and patience. It really does mean a lot. Thank you getting in touch, and please accept my sincere apologies for the continued inconvenience. As I’m sure you can appreciate we are experiencing a high volume of enquiries at the moment. We appreciate the frustration you must feel and sincerely apologise for any delay in responding to you. Our team is working round the clock to get this situation resolved and we hope to have some positive news for you in the near future. ● We are in discussions with several interested parties about a potential partnership with or acquisition of PledgeMusic. These conversations, if successful, would lead to a transaction which would allow us to meet all of our outstanding obligations. ● We are also in the process of appointing a third-party company to manage all artist payments going forward. We do ask you for your continued patience even though we appreciate that this must be running extremely thin. Once again, we do hope to have some positive news for you shortly and as soon as we do we will share it. For the moment though, please accept our assurances that we are fully focused on resolving these issues and that your enquiry has been logged. Wishing you all a very happy 2019! I’m overwhelmed by the continued support and pledges for the upcoming EP – which is going to be titled “Edge of Love” – it looks set to be a very exciting year! Here’s a little teaser for the first single “Anything But Easy” coming soon. Produced by José McGill from The Vagaband & featuring a host of the finest musicians. My interview with the brilliant award-winning Ethan Johns features in the latest edition of Songwriting Magazine It was lovely to talk Americana, music, writing and producing at his superb October gig at Norwich Arts Centre. He had wonderful insights about working with Ryan Adams, Ray LaMontagne and Laura Marling plus talked about upcoming projects with Robert Vincent and William The Conqueror. Available at pocketmags.com the magazine also includes David Crosby, Ward Thomas, Janis Ian, David Grey, Rosanne Cash and more. I had a lovely night performing a short acoustic set at one of my favourite venues, Norwich Arts Centre opening for Morganway. Here’s a little video clip from the night. Wow! compared to Patty Griffin! huge thanks to Americana UK for this lovely review of my live acoustic set at The Green Note in London. 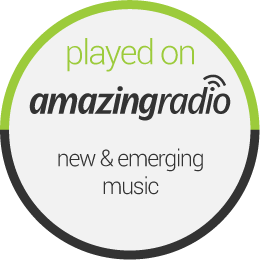 Thanks also to Future Radio for play listing the song. Hey guys, I’m really, really excited to have launched my first ever PledgeMusic crowdfunding project for my brand new release! I have some special rewards and exclusives on offer including two beloved guitars and some rare memorabilia from my back catalogue! You will also be helping Dogs Trust as I spend a lot of time walking rescue dogs and their companionship is truly special. Please watch the video and check out the rewards on offer – so appreciate any shares on social media! Enjoyed an amazing gig recently at Norwich Arts Centre – Ethan Johns and The Black Eyed Dogs. It was so lovely – and a real treat – to also interview Ethan for Songwriting Magazine. He has been a real music hero having produced some of my favourite records including “Heartbreaker” and “Gold” by Ryan Adams. It was also great to catch up with the band’s fabulous Georgina Leach who played on my album “Lost Again” back in the day – her first album session recording! Look out for my interview with Ethan appearing in Songwriting Magazine soon. Always lovely being on Park Radio – a great radio station supporting local artists. Huge thanks to Andrew Cooper at Sunday Introducing. Check out my Facebook page to see a live video of “Never Was a Yesterday” the third of the live songs I played.